As you probably know by now, Facebook introduced Timeline for Pages yesterday. Allfacebook.com has a great review of the key changes here. With all the buzz around Timeline, few have noticed that Facebook has, at the same time, given public access to new data about Pages’ activity level and most active users. 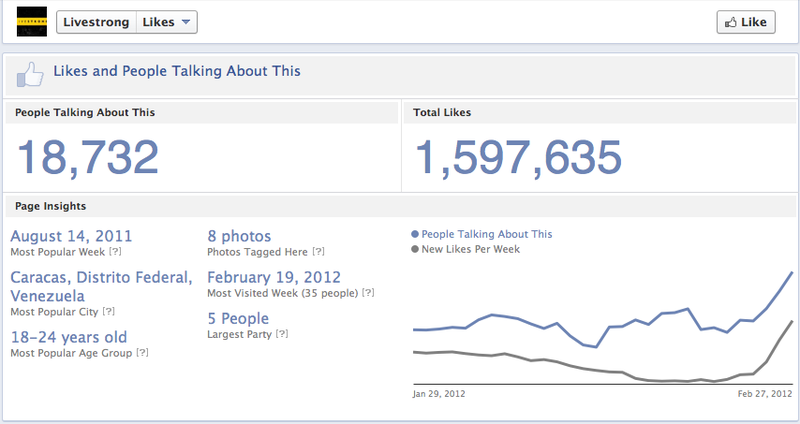 To show this data, you just need to click on the Likes “box” on the top of the Timeline. A timeline entry is also displayed at the beginning of each month, summarizing the Page’s activity for this month (new likes, people talking about this and visits if applicable). Be aware that it seems this Timeline entry will only be shown for one month (there is no similar entry for January for example), so you’ll have to come back to the Page at the beginning of every month to collect the data for the past month. As soon as the end of the march (when Timeline will automatically be activated for every Facebook page), we’ll then have a bit more information about the people who are the most active on any Page and the degree of activity. Readers, how do you plan to use the new data ? Hmmm, great question…. I think we will use this to understand our niche better. We are still growing our biz and it will be great to head to some of our competitors pages (or as we prefer to call them, potential colloborators!) and see who their FB page visitors are. This will in turn inform us about trends and demand in our sector. Could also be a great tool for deciding where best to concentrate FB advertising. Thanks for your comment Janine. I have confused with the timeline monthly summary – someone told me this may be inaccurate and prefers to add the daily numbers. Do you know if the monthly summary is a valid way to benchmark on a monthly basis? I can’t tell you wether the monthly summary is totally accurate or not, but if you’re using this number for benchmarking purpose, I don’t think it matters much since the number would then be wrong for everyone but measured the same way still.